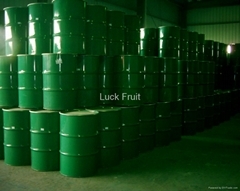 Sanmenxia Luck Fruit Co., Ltd.
Brief Introduction of Sanmenxia Luck Fruit Industry Co., Ltd.
Sanmenxia Luck Fruit Industry Co., Ltd. is established by Dianmin Chen and other 5 natural person shareholders in May, 2003, with registered capital of 52 million Yuan. The company, located in Economic Development Zone Sanmenzhong Road of Sanmenxia, with convenient transportation and advanced communications, is an export-oriented private joint-stock enterprise, with the main business of deep processing of agricultural products. The company has professional ranks from Master to technical worker, including more than 240 staffs, more than 85 percent of which have college or vocational education. The leading products of our company are fruits and vegetables juice concentrate series, with yearly integrated processing capacity of 30,000 tons. The company has obtained the national import and export enterprise qualified certification in 2003, with the ability of self-declaration, and has passed the international ISO9001: 2000 quality management system certification, the international HACCP food safety system certification and international KOSHER certificate. The company have been awarded "provincial agricultural industrialization leading enterprise", by Government of Henan Province、awarded "Defending the credit unit in Henan "by the Commerce and Industry Bureau in Henan Province, awarded "Science and Technology Enterprise" by Henan Science and Technology Department , "excellent customer credit" by the Banking Association of Henan Province and so on, and also awarded "Top 20 Leading Enterprise of Agricultural Industrialization " by Sanmenxia Municipal, "Sanmenxia High Growth of Private Enterprise", and it is also the emphasized enterprise for export and foreign exchange.